1. So, I’m running a marathon this weekend. Again. I also expected to feel a lot more worried about this. As I write this on Monday, I feel remarkably zen about the whole thing (well, aside from the fact that my stomach is grumpy today. But I’m guessing [hoping, praying] that that will clear up with a good night of sleep.). I’m not scared for how my body will react. I’m not nervous about not having spectators there for me specifically this year. I’m not even really that intimidated by the distance, which is the biggest surprise to me. Last year, I had the idea that I wanted to try to run Chicago and New York in 2016 (assuming I got into New York, of course, which I didn’t). 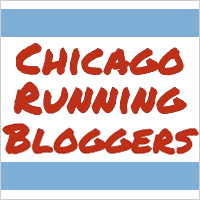 When I was in the back few miles of Chicago, somewhere along Michigan Ave., I kept second guessing whether or not I’d actually want to run New York and Chicago, because that last 5K is SO MISERABLE. Four weeks isn’t enough time to forget how miserable that last 5K tends to be, and I thought that might discourage me from running both races. But here I am, still acutely aware of how my legs felt from mile 18 on three weeks ago, still perfectly cognizant of the depths of despair to which I sunk from mile 20(ish) on three weeks ago, and even still I’m not dreading Chicago. I’m actually…looking forward to it? I’m truly more curious to see how this goes than I am scared that it may go poorly. If the forecast proves true, Sunday will be the best conditions I’ve ever had for a marathon (55 and overcast, I’ve been begging for you for FOUR YEARS!! Why’d it take you so long to get here?! ), and I’m really interested to see how I do in something that’s not mid-70s and sunny, or even mid-60s and sunny. We’ll see, I suppose. 2. That being said, I do, of course, have some (foolish) goals. This is always my A goal, and even more so this year. B. Actually stick to the run/walk plan. That run/walk plan being 4:1, 3:2, 2:3, 1:4 run:walk, depending on how I’m feeling. That was the goal during Fox Valley, and I failed at it miserably. To be fair, I also felt miserable. But still. C. Feel good when I finish. I had Portillo’s AND an enormous brunch after Fox Valley (not right in a row, of course – brunch after the race, Portillo’s much later that night), and I would very much like to have my body be in a state where it can handle such overindulgence again. I would very much NOT like a repeat of either 2013 or 2015, where I felt like crap at the end of the race and could barely stomach the thought of a banana. Ah, that elusive time goal! I’ve been chasing 4:45 pretty much for forever, and the closest I’ve come is 4:52. For those of you keeping score at home, I’ll need to shave a whopping 29 minutes off my time at Fox Valley to hit 4:45. LOLOLOLOLOLOLOLOLOLOL. 3. I don’t really have anything else to blog about, since my weekend last weekend was uneventful, and, well, you all know what I’m doing this weekend. One of these days I’ll start taking pictures again (like, you know, this weekend) so I can stop being a bad blogger and posting picture-free posts. Who’s going to be at Chicago this weekend?? Ahh I’m starting to experience major Chicago Marathon FOMO! I almost wish I did what you did and ran 2 marathons within a few weeks of each other. Sigh. But I’m so so so excited for you!!! I can’t wait to follow along on Sunday, you’re gonna rock it! Just enjoy the moment (all 4+ hours of it) because you’re running one of the greatest marathons in the world…again! Speaking now from experience, I think it’s a MUCH better idea to just run one marathon in three weeks than two, unless you’re an experienced repeat marathoner (which I would not consider myself to be!) haha.